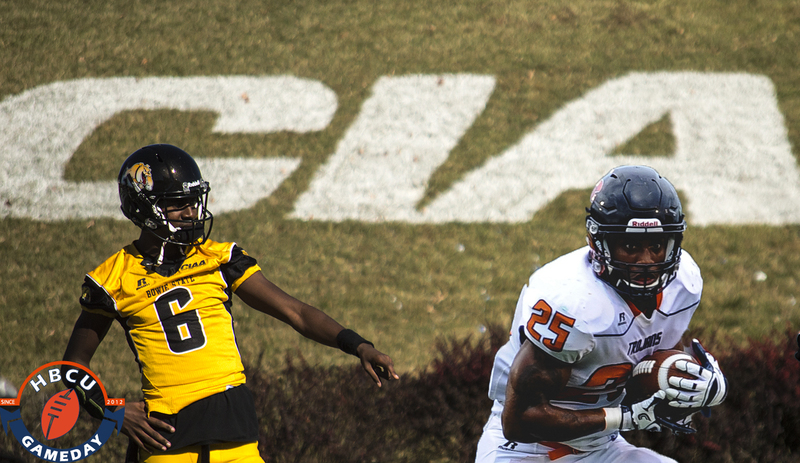 The CIAA’s two perfect teams will meet up in Petersburg, VA on Saturday with a lot on the line. When Virginia State and Bowie State meet at Rogers Stadium just outside of Petersburg, VA on Saturday, a lot will be at stake. Both teams come into this pivotal Week Seven matchup undefeated, with Bowie coming in at 6-0 and Virginia State right behind it at 5-0. The winner of this game will have the leg up in the race for the CIAA Northern Division title, while the loser will no longer control its destiny. Here are some of the numbers to know heading into this game. 54.3 — Bowie State’s scoring average for the season, best in the nation. These two teams have won the last four CIAA Northern Division titles, 2013 and ’14 by VSU, and 2015 and ’16 by BSU. Their last game was a thriller, with BSU defending its home field at its homecoming, coming up with a 38-37 win on a touchdown run by Hall. That was VSU’s last loss, 363 days ago. Sequels are rarely as good as the originals, but hopefully, lightning will strike twice in the 804 this weekend.